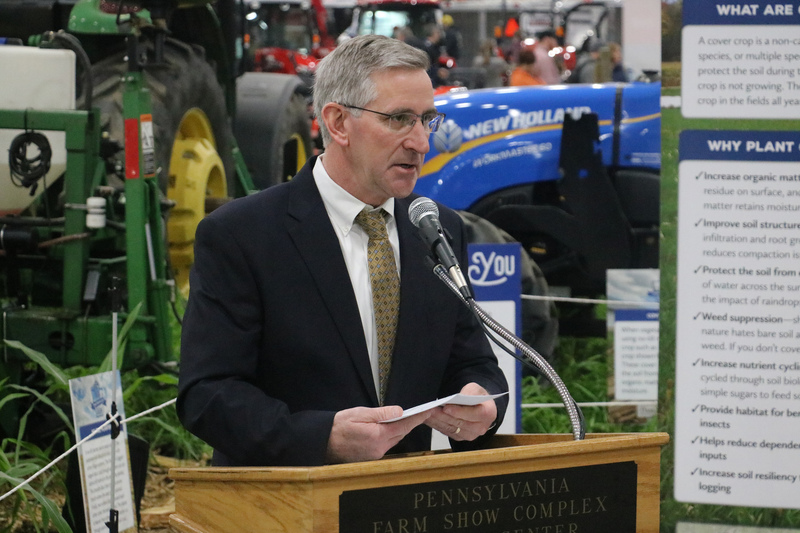 On Friday, January 11, Pennsylvania Department of Agriculture Secretary Russell Redding and Department of Environmental Protection (DEP) Secretary Patrick McDonnell joined six public and private partners in launching the High Performance Farms Initiative. 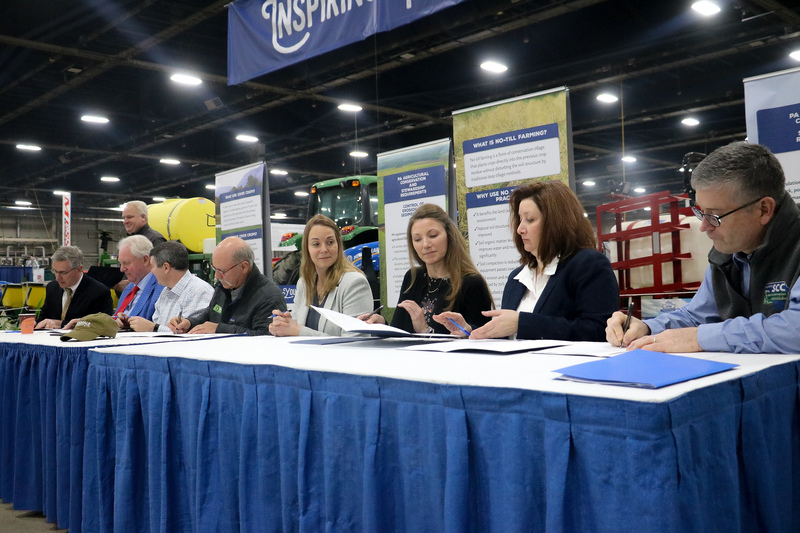 The initiative will help increase environmental sustainability, economic benefits, public health, and soil and water quality by promoting innovative farming practices in Pennsylvania’s part of the Chesapeake Bay Watershed. Joining the Department of Agriculture and DEP in the High Performance Farms Initiative are the State Conservation Commission, Pennsylvania Certified Organic, Rodale Institute, the Pennsylvania Natural Resource Conservation Service (NRCS), and Bell and Evans Farms. Developing cost-effective stormwater management infrastructure (traditional, green and hybrid) in our communities will require the development of holistic watershed-based approaches that integrate innovative strategies and tactics from the urban, suburban and agricultural sectors. The incorporation of practices that result in greater soil health also support improved nutrient management and long-term sustainability. The watershed approach is a more holistic, adaptive process to evaluating where and what actions can best serve to benefit soil and water resources, along with that of communities that reside within the watershed and region. Organic feed and food is a growth market with multiple long-term environmental, health, and economic benefits. The use of market drivers and related financial incentives, including public and private financing, and market research and development, along with the incorporation of enhanced, on-site nutrient and stormwater management practices, are pivotal to achieving sustainable economic growth of the organic farming industry. Communication, outreach, research, education, and training to increase knowledge and enhance technology transfer among those operations and organizations working towards the “Healthy Farms, Healthy Soils, Healthy Waters” philosophy are critical to the success of this Initiative.